Sara Lee joined GKHS in 2016. Building on her experience in corporate strategy and marketing for a national online wholesaler, Sara has a special interest in providing advice and counsel to businesses, artists, and individuals on matters including contract negotiations, licensing agreements, and intellectual property protection. She also has extensive experience representing developers and contractors in the areas of construction and real estate. 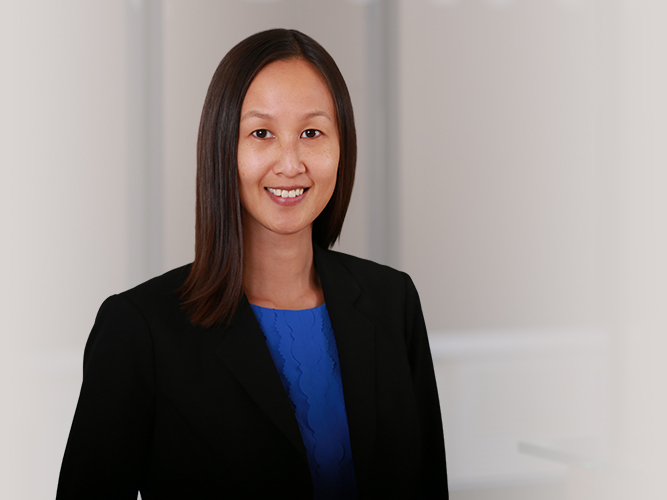 Sara serves as trial counsel in business litigation and public entity/utility matters. Sara is an active member of Phi Alpha Delta Law Fraternity. She currently serves as the District II Justice and as an officer for the San Francisco Bay Area Alumni Chapter. During law school, Sara was a member of the Dean’s List and received the CALI Excellence for the Future Award in Legal Writing III. Outside of the office, Sara enjoys traveling, hiking, and practicing yoga.